When talking about getting the most out of your office area, the key is hidden in the simple act of functionality. A well-designed office should first and foremost be practical and easy to use. 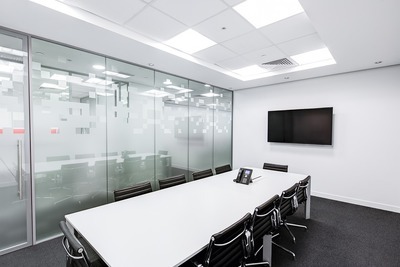 This can be achieved quite easily by refurbishing the boardroom and equipping it with all the necessary components but at the same time keeping it clutter-free. A minimalistic approach is a good design for the boardroom as it minimizes the distractions and gives you the opportunity to utilize the space the best way you can. The space should be designed in a way it will enable people to interact and communicate freely but also give them enough privacy to conduct their own business. The position of the furniture and the equipment is also a crucial aspect as well as having a fair amount of storage space in your working area. A contemporary approach makes a perfect starting point for designing a boardroom for a number of reasons. Other than the fact that the modern design allows you to create a functional area, it also gives you the ability to make a more spacious room, allow more people into your working space and boost the overall productivity of the employees. Not only this but a minimalist approach can also be a great way to minimise the funds required for designing an office area, which is also an important factor to think about, especially in business. It is said that this type of design is actually better for health, gives you clarity of mind and keeps employees stress-free. As we live in a world where technology is advancing quite rapidly, it would be foolish not to take advantage of all the benefits it has to offer. Hi-tech equipment gives you the opportunity to manage business more easily and helps you conduct your work more efficiently. Not only this, but relying on the latest technology innovations gives your boardroom a touch of professionalism and makes your conference meetings go smoothly ,without any distractions or interruptions. Working alongside advanced technologies can greatly boost the employee’s self-confidence, motivation and productivity but also spark their imaginative sides and help them be more creative in their work. Definitely one of the main aspects of a well-designed office room is the use of furniture in the space. The furniture should be positioned in a way it will enable maximum collaboration and interaction between co-workers but also enable all your employees to be included in the presentation taking place. It is a good idea to invest in ergonomic furniture that will be suitable for every employee, fit their needs and make those long conference meetings much more comfortable. 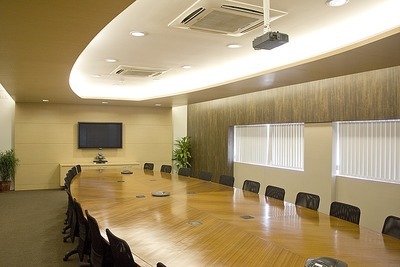 Other than this, boardroom tables are quite important as well as this is the place where all work sets in motion. Try to choose simple and yet functional tables that will help all your employees conduct their business freely and without any challenges. When thinking about raising employee productivity in the working space, most people underestimate the power of design. Quite often, business owners believe that the office design serves solely as an aesthetical feature and nothing else. 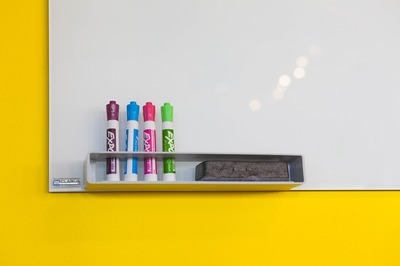 These couple of features will surely undeceive you and help you get the most out of your boardroom and your employees. What do you take into account when you go shopping for rugs?